Although most businesses now realise that social media can play a significant role in their marketing and employer branding, few recognise they value of their employees and the role that they can play in the businesses social media efforts. The average person has 5 social media accounts, so it is highly likely that employees are already very active online and would be willing to become a social media advocate for the company. Not only are your employees a more trustworthy source than official company accounts, but getting them involved in sharing brand related content can also expand your reach significantly. How are businesses using social media? How are employers helping employees to get involved on social media? 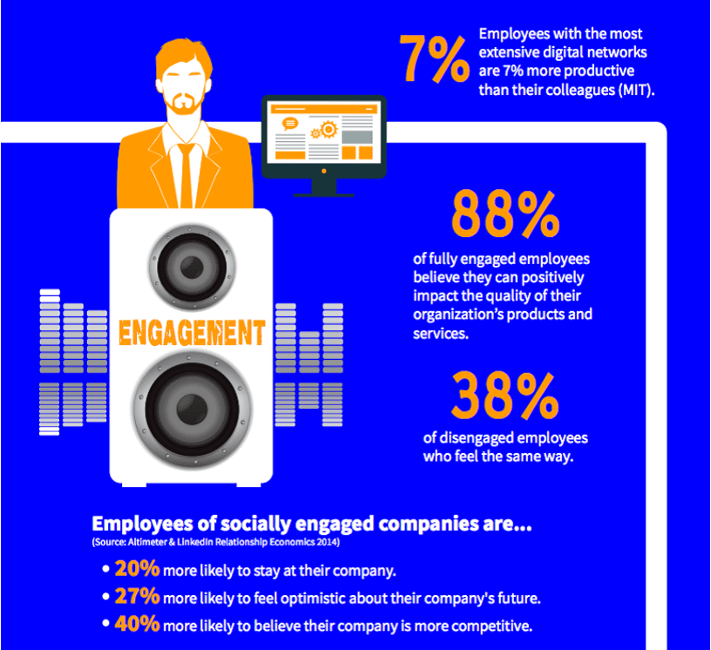 How can social media affect employee engagement? 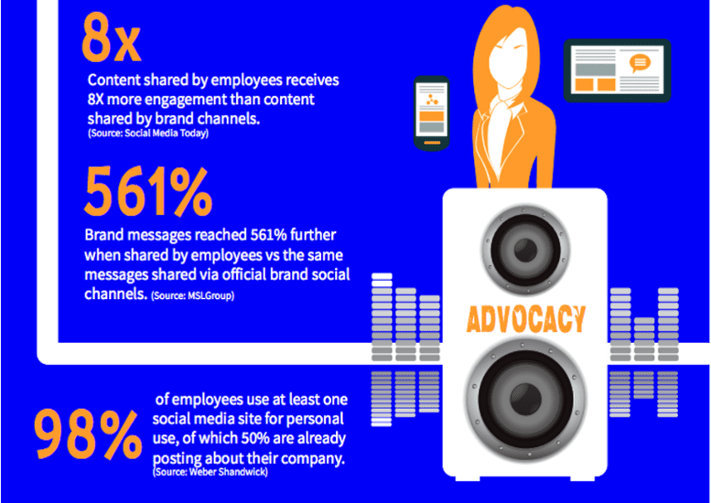 What are the benefits of employee advocacy on social media? 90% of consumers said that they trust social media and word-of-mouth recommendations by friend and family more than other advertising. More on this topic at Employee Advocacy: The Ultimate Handbook.